Please do not submit PROTECTED HEALTH INFORMATION. 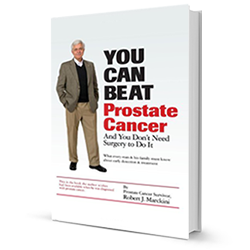 The Purcell's fairy tale life came to a halt when the doctor diagnosed Pat with prostate cancer. Little did they know that 25 years earlier, a doctor 1,200 miles away risked his entire career to pioneer proton treatment with virtually no side effects. “Against All Odds” follows a couple’s desire to fight cancer and unveils the historical account of a doctor’s passion to discover a better treatment option. Watch the "Against All Odds" video. "I have not spent one dollar on medicines or follow-up procedures in my 13 years post-proton treatment." "You owe it to yourself and to those who love you to safeguard your quality of life. Surgery will not do that ... proton therapy can." "I am celebrating 8 years post-treatment with no recurrence, no side effects, and not one more penny for medications." Robert T. Gore, M.D. F.A.C.O.G. Want to talk to former proton patients? Let us know. Buy it now on Amazon or contact us about a bulk discount. Join the 10,000+ BOB members worldwide. Copyright © 2019 Brotherhood of the Balloon. All rights reserved.